Men can now purchase elegantly designed silver rings with skull designs that can raise their style quotient. MENSSKULL Jewelry is offering handmade silver rings for men and can customize the designs as well. There is a one company that can play innovatively with the skull shape and can carve out beautiful skull jewelry for men, specifically. MENSSKULL Jewelry enjoys the specialty of designing amazing skull shape jewelry for men, which includes skull rings, skull bracelets, skull pendants and lots more. All these men’s jewelry items are designed by hand and include a meticulous hard work and dedication from a team of skillful designers. Any man would love to pick jewelry items from their collection to showcase a new trend and a macho style before the world. The men’s jewelry online store offers an extensive range of Men’s rings, with unique designs that can simply appeal to any man who wants to look more stylish and trendy. One can explore their ring collection to find out amazing designs like, love ring, pray ring, fascist symbol rings, world of nothingness rings, concave cross rings, gate of hell ring, cross rabbit rings and lot many other interesting choices. According to the spokesperson of the jewelry store, customers will be spellbound by the outstanding creativity of their designers. Besides, every piece is a beautiful example of hard labor and inventiveness. Any man will be able to find out a unique skull ring from the collection to wear on different occasions. The company designs and supplies silver rings for men, made from the high quality 925 sterling silver. Speaking about the designing process of the rings, the spokesperson states that the manuscript of the design is prepared at first, and then designers start working to carve out the ring design using high quality silver. The carving and chiseling process is extremely rigorous, which requires both time and patience. The designers work with a strong dedication on each ring and after several days’ hard work, the ring takes its final shape. Thereafter, rings are ground properly to maintain the smoothness, so that one can easily wear them on their finger. They employ an advanced polishing technique to make sure each ring gets a sparkling shine that can stun everyone. MENSSKULL Jewelry has a large number of skull ring designs for men to choose from. Their Silver rings F**K ring has become significantly popular for its interesting and unusual design. The ring is available in different sizes with a weight around 18g. One can wear this ring all the time and needs not to worry about its shine and luster. The ring is polished perfectly to ensure its long lasting durability and a new-like shine forever. Besides adding to the style and sophistication, a skull ring is also known to bring good luck to the wearer. 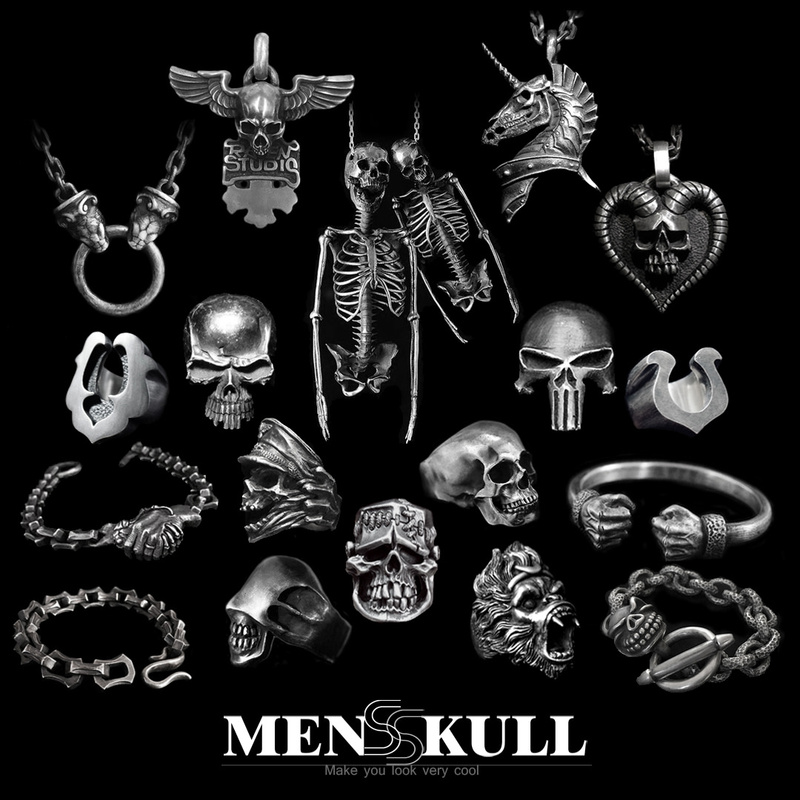 One can check all the skull ring designs in their collection and can place an order for one or several rings by visiting the website https://www.mensskull.com.